The RB4011 uses a quad-core Cortex A15 CPU, same as in our carrier-grade RB1100AHx4 unit. 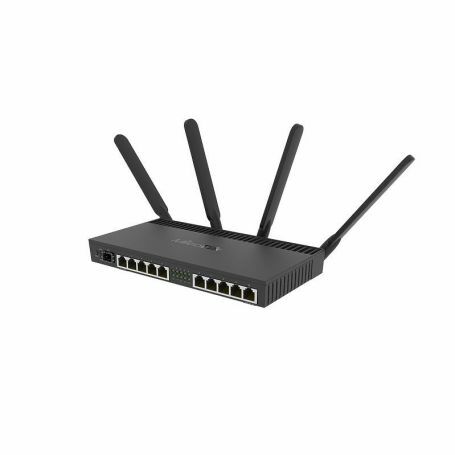 The unit is equipped with 1GB of RAM, can provide PoE output on port #10 and comes with a compact and professional looking solid metal enclosure in matte black. RB4011iGS+5HacQ2HnD-IN (WiFi model) is dual-band, four chain unit with a supported data rate of up to 1733 Mbps in 5GHz. For legacy devices, the unit also has a dual chain 2GHz wireless card installed in the mini PCI-e slot.